Is There Hope for Anxious, Doubting, and Burned Out Christians? If you’re a Christian who is burned out, falling flat, discouraged, struggling, or doubtful, I have a suggestion based on my own experiences. This suggestion may or may not help, but just consider it for a moment. What if Christianity is bound to fail you no matter how often you say sincere prayers, no matter how hard you study the Bible, no matter what theology you adopt, no matter how often you attend church, and no matter how sincerely you commit to follow Jesus? What if your faith can only survive if you approach God in a different way? I don’t necessarily want to undermine practices such as Bible study, attending church, or praying sincerely. These are all good things in their place. However, one can lean too heavily on these practices, expecting them to provide what they cannot, and then burning out as you continue to come up empty. That’s where I found myself when I first attended a church service during my seminary days that introduced contemplative prayer, sitting in silent adoration of God. I struggled to sit in silence, I recited the prayers, nothing seemed to happen, and so I gave in to despair for a season. It wasn’t until years later that I began to see the rich contemplative tradition of the church that teaches the practice of daily silence in order to rest in God, trusting God to work in us. The contemplative tradition of the church teaches that we cannot earn God’s favor or make God love us more. God has already sent Jesus to us out of his deep love for us, and in Jesus we become his sons and daughters. The foundation of Christianity is God’s love for us. If we miss that, everything else will be a chore, struggle, or burden. Contemplative prayer doesn’t seek to prove anything or to produce a particular emotion or experience. By sitting in silence and reciting a simple word like “mercy” or “beloved,” we step away from any other thought or conception of ourselves so that we may be present for God. Over time, contemplative prayer can shift our understandings of ourselves, seeing ourselves as we are as God’s beloved children. We can also develop a greater capacity of love for other people as we learn to see them as God sees them. There is an effort to remove distractions in contemplative prayer, but it’s not up to me to produce a spiritual transformation. I can’t save my soul or make myself more loving. I can only rest in God and enter God’s presence with faith that he is faithful in caring for his children. When the love of God comes first, I no longer have to prove myself or work to find God’s love. God’s love is something to rest in and to gradually experience over time, rather than something I have to frantically or anxiously work for. Out of a foundation of God’s love, the Christian faith becomes restorative and regenerative. We all come to God with our struggles, baggage, and religious backgrounds that can complicate matters. 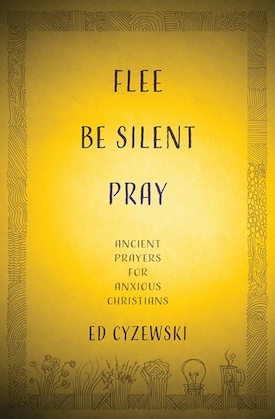 There aren’t simple formulas and I never want to suggest that contemplative prayer is a quick fix. Rather, this is a lifelong practice that is challenging to learn and requires a significant commitment. Monks would devote their entire lives to this practice of contemplation, so one can hardly jump into it after a kind of short term boot camp. If everything else in Christianity has left you uncertain, anxious, or struggling to believe in God, you may not have anything to lose. What if God loved you deeply and completely as a beloved child? What if you only need to take that love on faith and rest in it?